The upcoming weeks will be packed with theatre celebrations. The World Theatre Day takes place annually on March 27 and has been celebrated since 1962. Now it merges in one week with the World Day of Theatre for Children and Young People (March 20) and World Puppetry Day (March 21). The initiators of celebrations are international non-governmental theatre organizations associated with UNESCO, which annually prepare messages for the important theatre celebrations. The author of the first message for the World Theatre Day was Jean Cocteau, and it was Václav Havel who the international theatre community honored to write the message in 1994. National Centers of the International Theatre Institute (ITI), International Association of Theatre for Children and Young People (ASSITEJ) and International Puppeteers Union (UNIMA) are now coordinating other activities associated with the emphasis of the importance of theatre as an art form, its value for human societies and individuals, its importance for remembering humane values, such as peace and understanding among nations regardless the differences of their races, politics, religion and culture, and in accordance with the acknowledgment of basic human rights, as they are defined in the Universal Declaration of Human Rights, as well as the potential for the economic growth. The organizations have always stood for the field of theatre as well as its social and political roles and advocated mitigation of conflict at the international level. In the Czech Republic we can be proud of the fact that Czechoslovakia always was among the foundation members of the organizations and Prague was the place of foundation of four of them (UNIMA – 1929, ITI – 1948, ASSITEJ – 1965 and OISTAT 1968). Last year we remembered the 70th anniversary of the ITI foundation and 50th anniversary of the OISTAT foundation. This year will see the celebrations of the 90th anniversary of UNIMA foundation, which we will remember on June 7 in Prague with the international conference The Role of UNIMA in the Recognition, Development and Importance of Puppetry in the 20th Century and its Visions for the 21st Century (Ministry of Culture) and the opening of the exhibition UNI…WHAT? UNIMA! 90 Years, 101 Countries, 1 Passion (Czech Centers Gallery). The celebrations are organized by the Czech UNIMA Centre, Arts and Theatre Institute and Puppetry Museum. The message for this year’s World Theatre Day is written the playwright and director Carlos Celdrán from Cuba and deals with ephemerality of theatre and theatre as a “unifying gesture”. The authors of the message for the World Day of Theatre for Children and Young People is the ASSITEJ President Yvette Hardie, 8-year-old Joyee and 11-year-old Jojo, who underpin the role of theatre for children living in unfavorable social conditions and theatre for handicapped children. 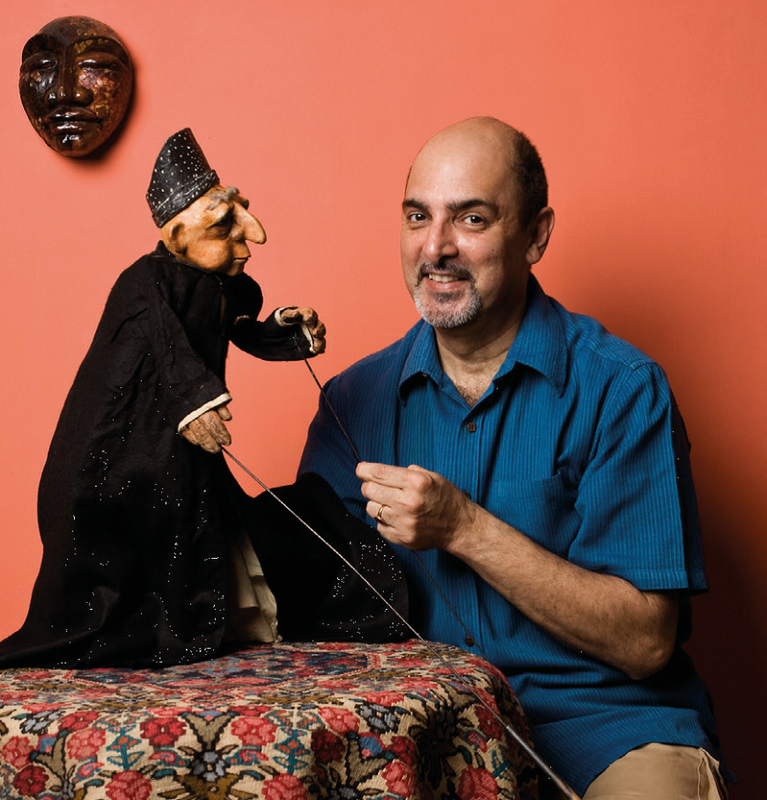 The author of the message for the World Puppetry Day in the International Puppeteers Union’s jubilee year is the stage designer Zahra Khyali Sabria from Iran and the puppeteer and UNIMA president Dadi D. Pudimjee from India.